Amazon pickup stores have hundreds of packages moving in and out daily. They have a large monitor set up to show their location's current status and how they're doing on inventory space. 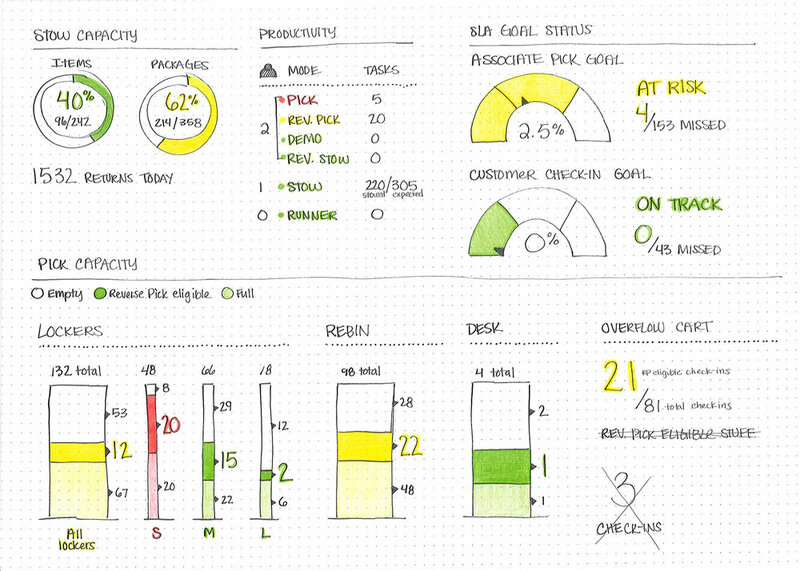 The current dashboard was not meeting their needs, so I collaborated with a visual designer to redesign how they showed their store's live data.